Office rents in Dubai continued to come under pressure in the third quarter of the year as companies retrenched staff and considered future strategy. According to the latest Dubai Office Report from Core Savills, average office rents in nearly half (six) of the submarkets the broker analyses fell during the three months to the end of September including Downtown Dubai, JLT, Bur Dubai and Garhoud. 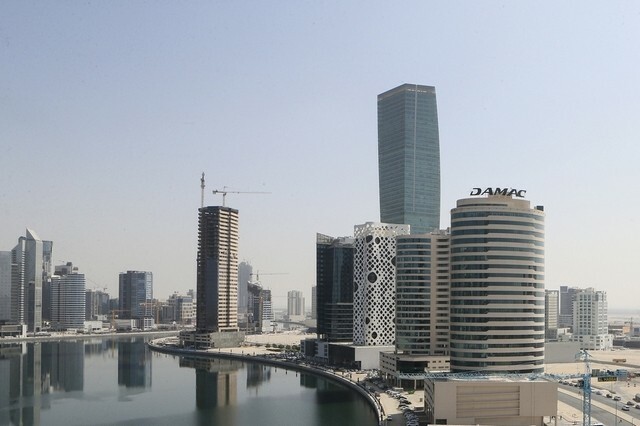 Average rents in another six submarkets including Sheikh Zayed Road, DIFC, Business Bay and Tecom remained flat, Core Savills said, as companies cut back on office requirements in the wake of the oil price rout and the economic slowdown elsewhere in the Arabian Gulf. “The trend of landlords undercutting each other to attract tenants, particularly in a few of the strata buildings with lower occupancy levels on Sheikh Zayed Road, Business Bay and JLT, continues,” said David Godchaux, the chief executive of Core Savills. “Overall, a vast majority of landlords are adapting to present conditions and are proactive in decision-making with a higher degree of flexibility. Many landlords are pushing to keep the headline rentals constant while adding incentives such as contributions in fit-outs, extended rent-free periods and shorter lease terms to retain or attract new tenants,” he added. Dubai’s new Dubai Design District (D3) was the only submarket to show an increase in rents over the period with an average 15 per cent increase. But agents said this was because of the newness of the building. Rents in D3’s first phase are now 70 per cent higher than the building’s opening lease rate last year, and it is now 85 per cent occupied. Last week JLL reported in its Q3 figures that demand in Dubai for offices of more than 10,000 square feet plunged during the period compared with a year earlier. It said that less than 12 per cent of all office deals signed in Dubai during the first nine months of this year were for lettings of more than 10,000 sq ft, compared with 30 per cent the previous year. JLL said that the average amount of office space leased in Dubai had fallen in the first nine months of this year to 5,900 sq ft from an average of 14,500 sq ft for the whole of last year as occupiers with larger space requirements had shied away from committing to new deals. The UAE purchasing managers’ index (PMI), which covers manufacturing and services, has averaged just 53.8 so far this year compared with 56.0 last year and 58.1 in 2014. A figure above 50 means businesses in the country are expanding, while below 50 signals a contraction.